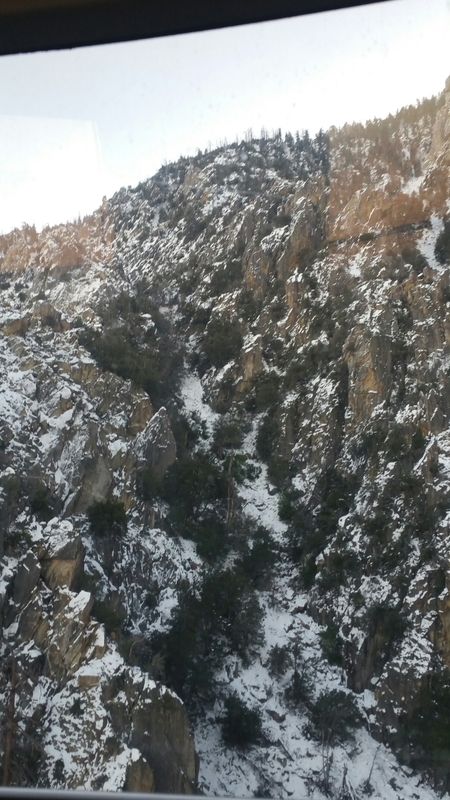 SNOW in Palm Springs! Wow! 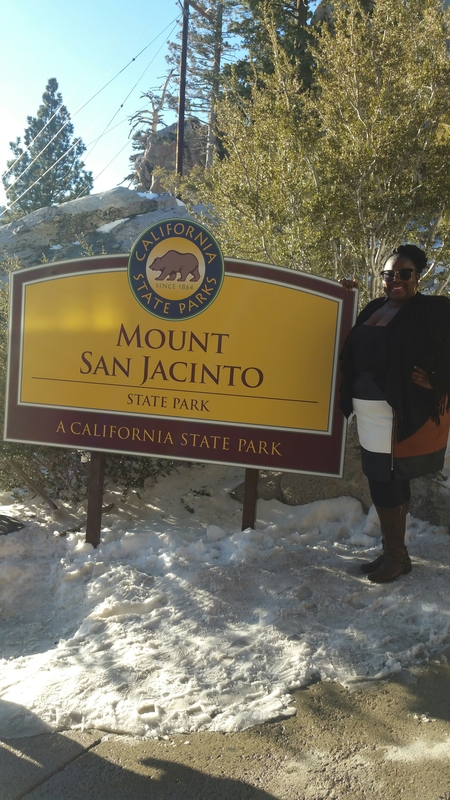 The day after Christmas my mom decided to take the family on a rode trip to Palms Springs, I’ve been so many times but not in years. If you don’t know about Palms Springs here is some quick deets: Palm Springs is in the Sonoran Desert of Southern California, its known for its hot springs, stylish hotels, and spas. If you are into vintage boutiques, interior design shops and restaurants this is the place to be! Many people stop here when they go to Coachella because its surrounds that valley. Usually we stay at my moms local Timeshare but this time the Hyatt Palm Springs was calling our names. The two bedroom suite is a perfect vaction getaway: two full size beds, two TV’s, pull out couch, balcony view of the main strip, mini fridge, and cute bathroom made my stay comfortable. 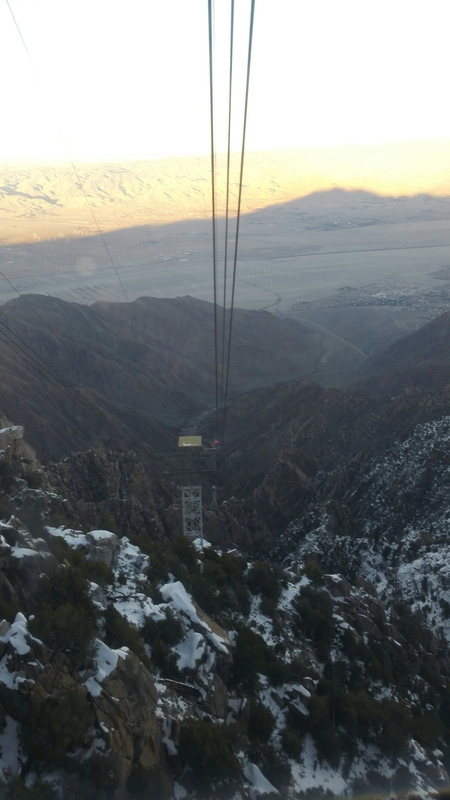 My highlight of this trip was the Palm Springs Aerial Tramway. First off let me tell you, if you want to go on this adventure be prepare to wait a couple of hours. Since my mom has a Timeshare we bought $20 tickets from them which includes access to the front the line. The 8,516 feet view is worth the wait. 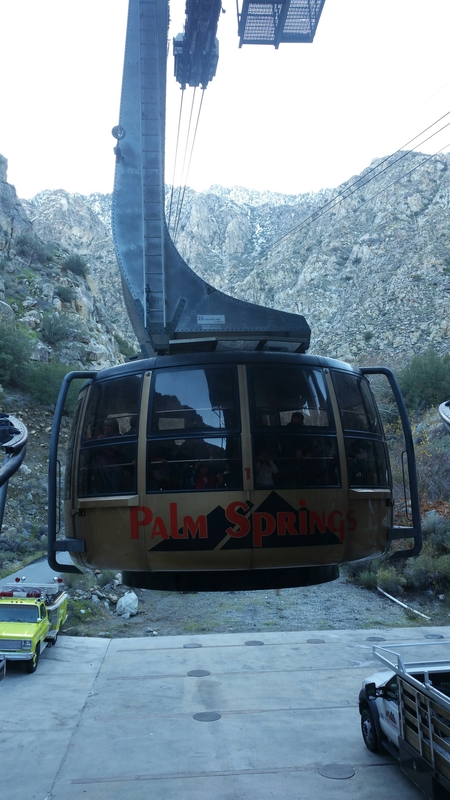 This is the world’s largest rotating tramcar. It takes you all the way up to Mt. 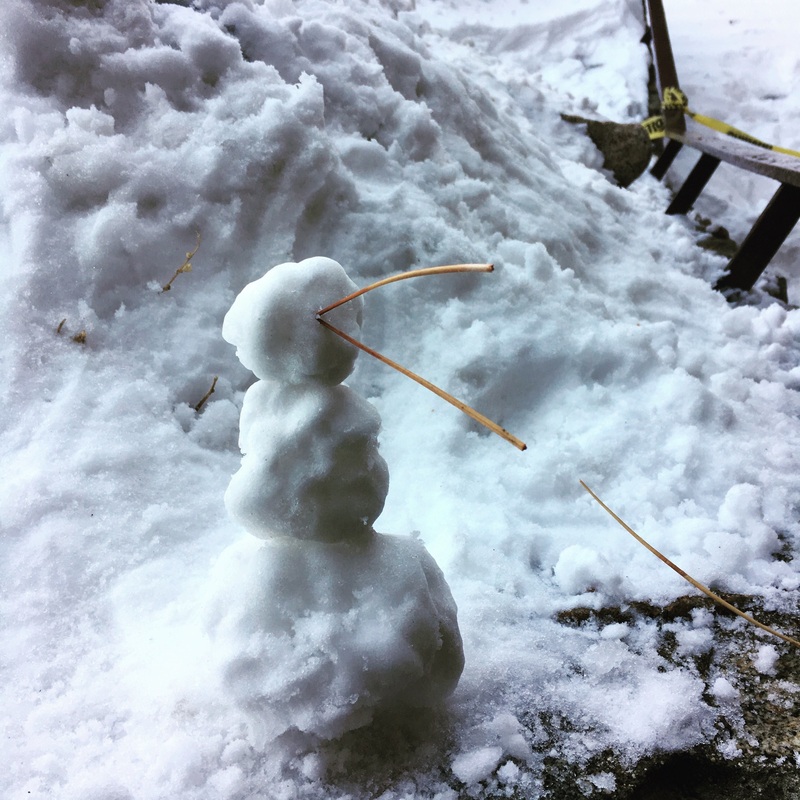 San Jacinto State Park which has many things to do: camp grounds, hiking, nature exhibits, cafe, and even snow where my cousin and I tried to build a snowman. 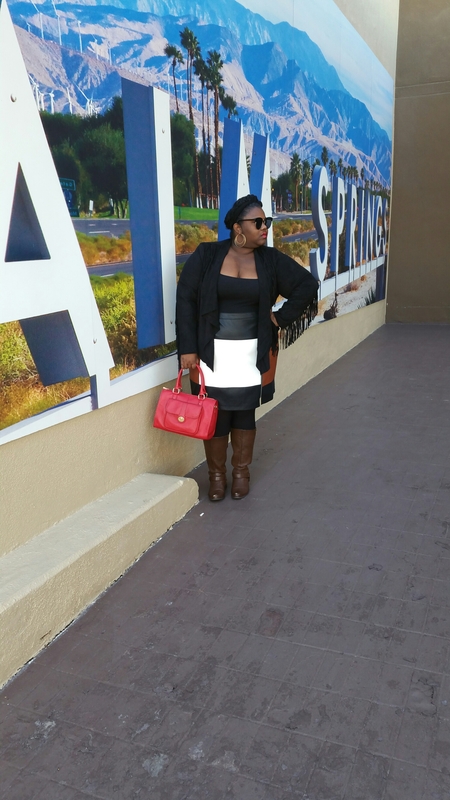 Even though it was cold I wore my INC Faux-Leather Colorblocked Pencil Skirt. Im a size 20/22 but this skirt fits small so I sized up to have more room to a 24. 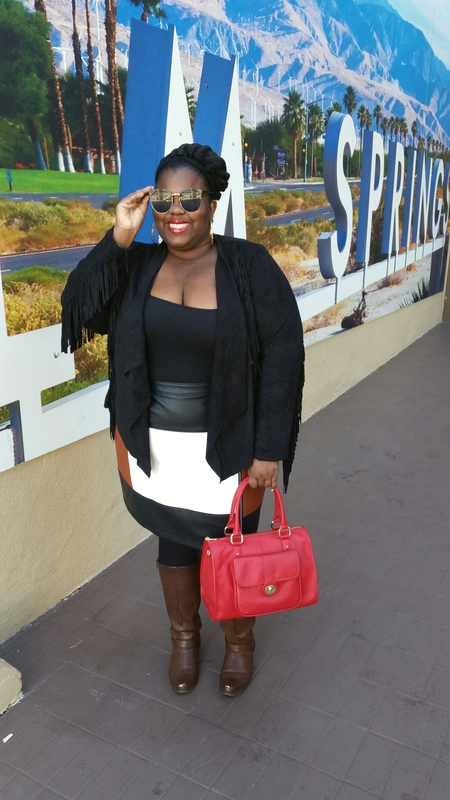 I love this faux-leather skirt, the side zipper brings some edge to it.I paired this skirt with a tank top and brown boots (last years) both from Forever21 Plus, a Black Suede Fringe Jacket (similar), black Ashley Stewart tights (I get the largest size because they run small to me), and the purse and shades were gifts. I hope you loved my outfit and my adventures in Palm Springs with my family because I had a lovely time. Next month my girlfriends and I are coming to stay which is exciting. Remember Plus Size women are Dime pieces which is Top of the line,Always, 2SNAPS to that!